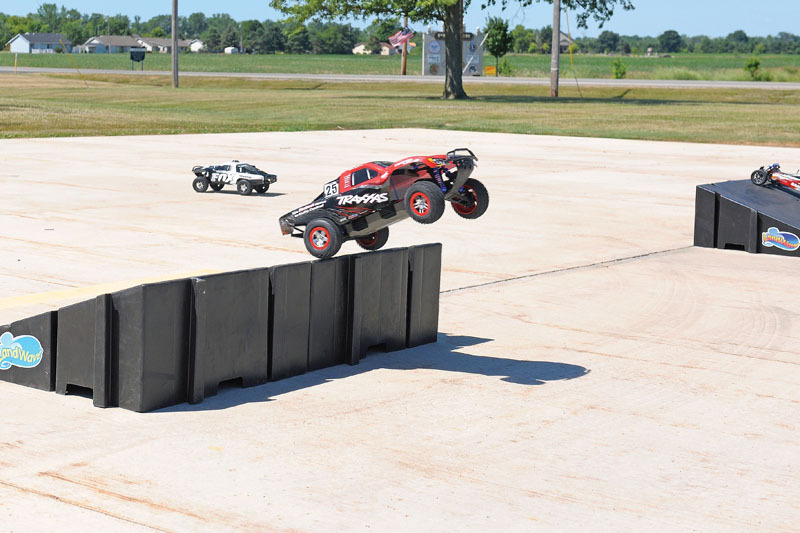 LandWave, maker of modular plastic ramps as seen in RC Car Action, put on the first-annual LandWave Challenge in Pioneer, Ohio, which is also home to the company headquarters. As you might expect, the focus was on jumping, with a “motocross course” and a long-jump competition, all using the brand’s unique stacking, multi-configuration ramps. Flying high off the LandWave Tower for the distance competition. 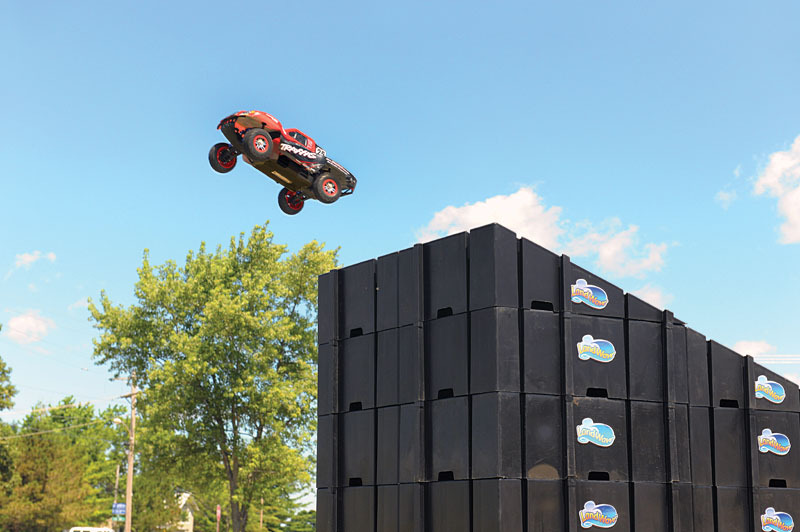 The ramps’ modular design makes it easy to build huge jumps without tools. The grass landing zone cushioned the landing for distance jumpers. 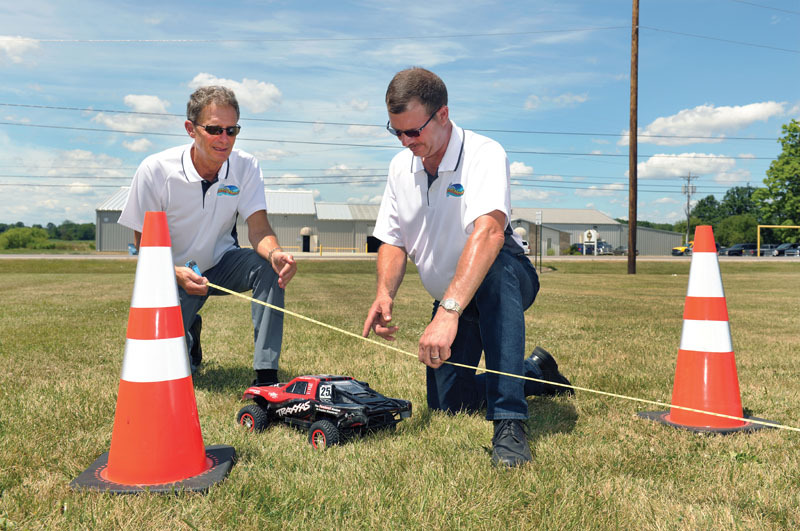 The LandWave Challenge will return to Ohio next year, and LandWave is looking to set up other events across the country. LandWave ramps are available online through Amazon, Target, Discount Ramps, and other retailers. Visit landwaveproducts.com for more information. The “motocross” course included four LandWave jumps that kept drivers in the air as much as they were on the ground. 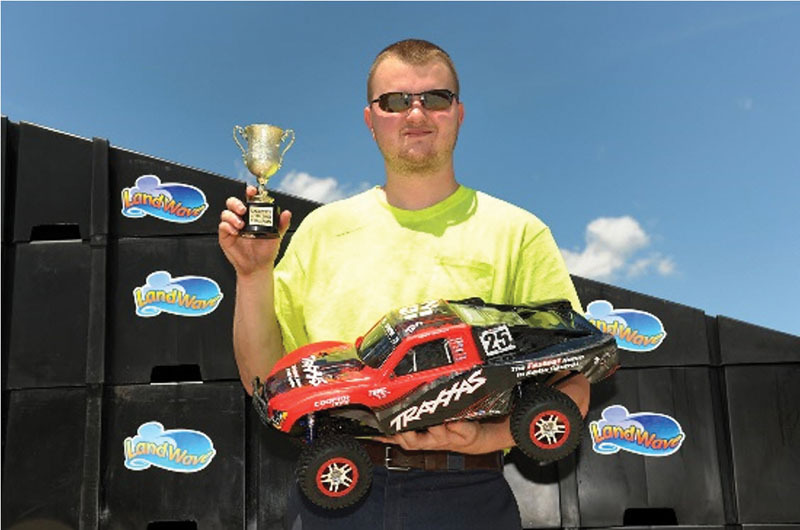 Brandon Scott won the MX and long-jump events to take home the LandWave Challenge trophy, which is solid gold and definitely not plastic.